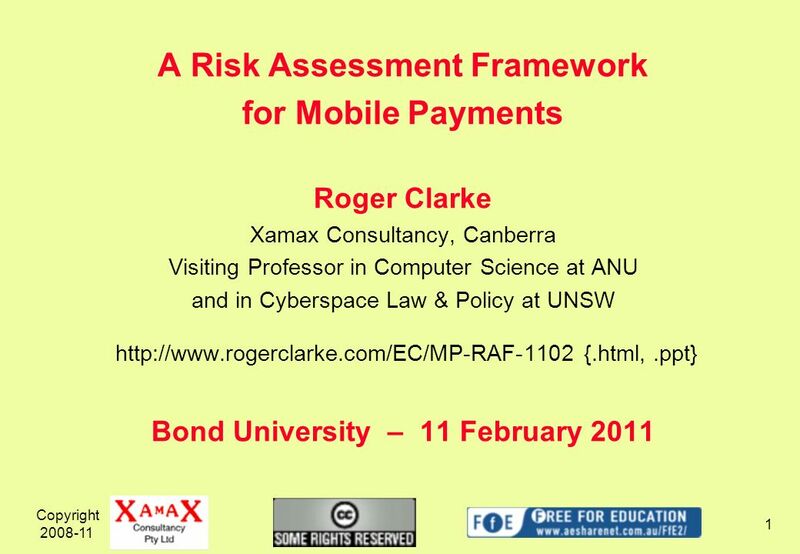 Copyright 2008-11 1 A Risk Assessment Framework for Mobile Payments Roger Clarke Xamax Consultancy, Canberra Visiting Professor in Computer Science at. 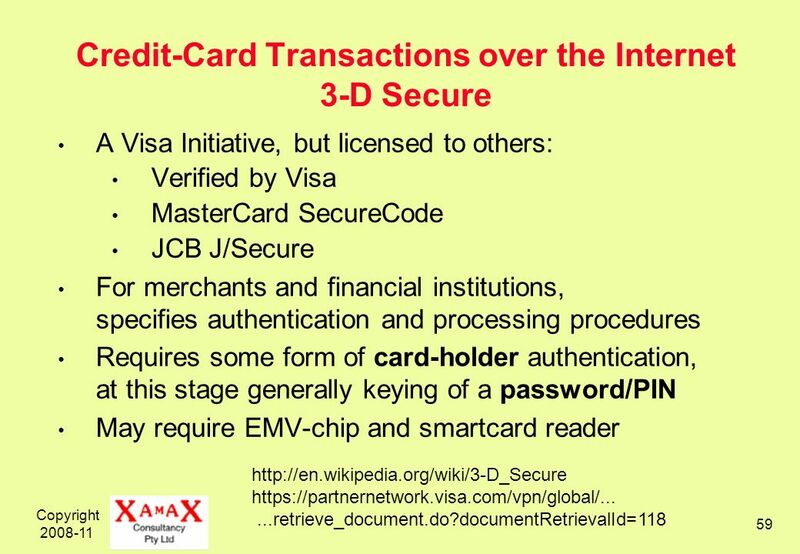 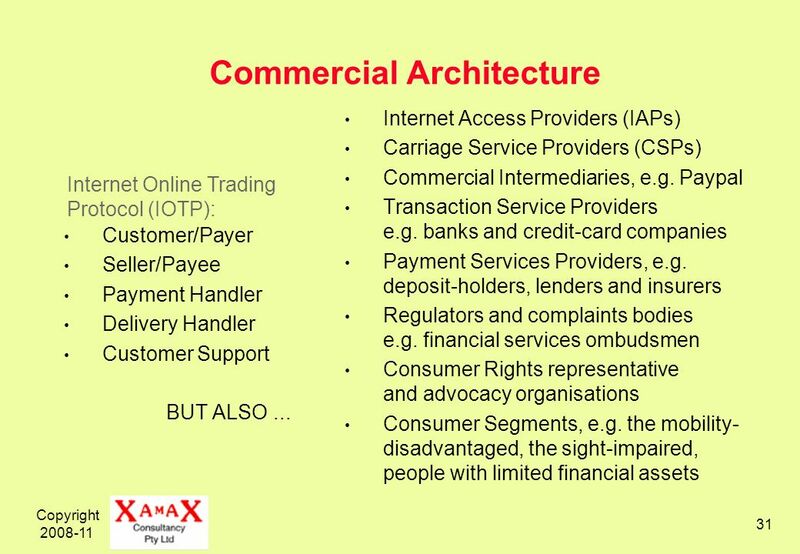 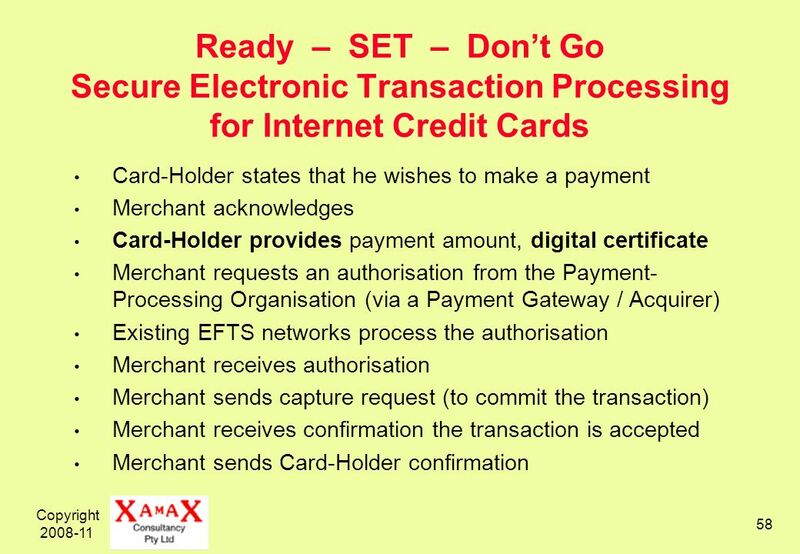 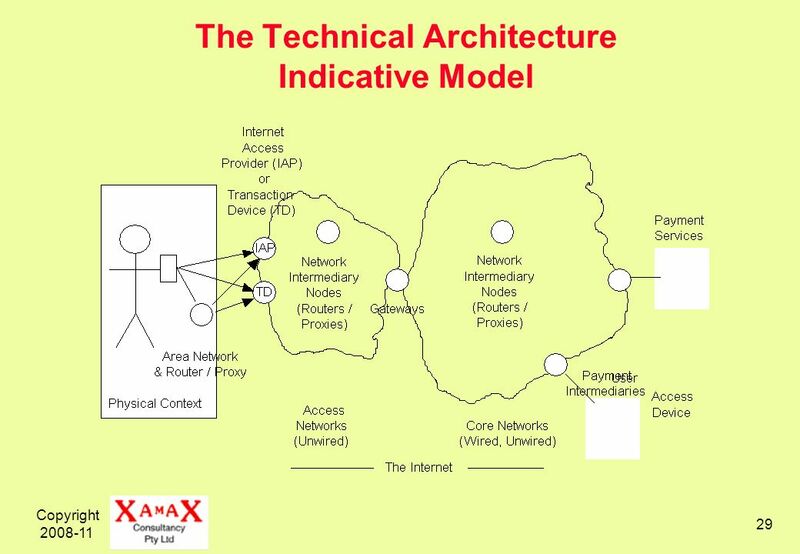 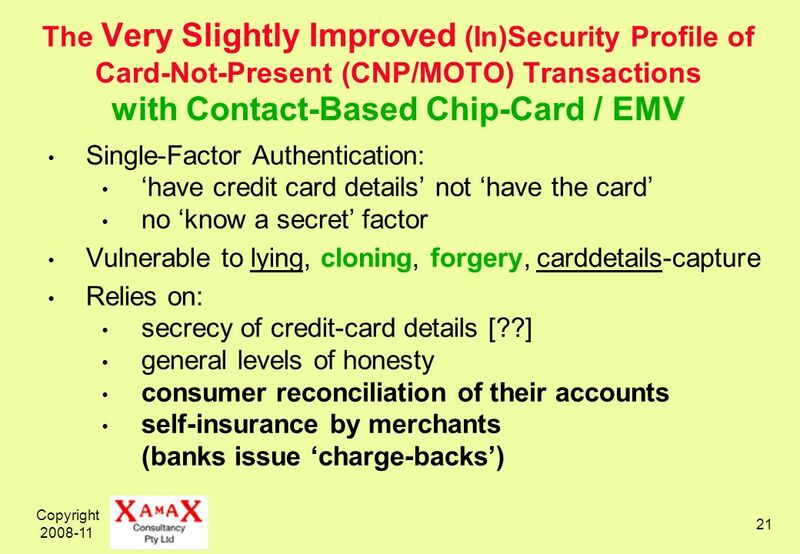 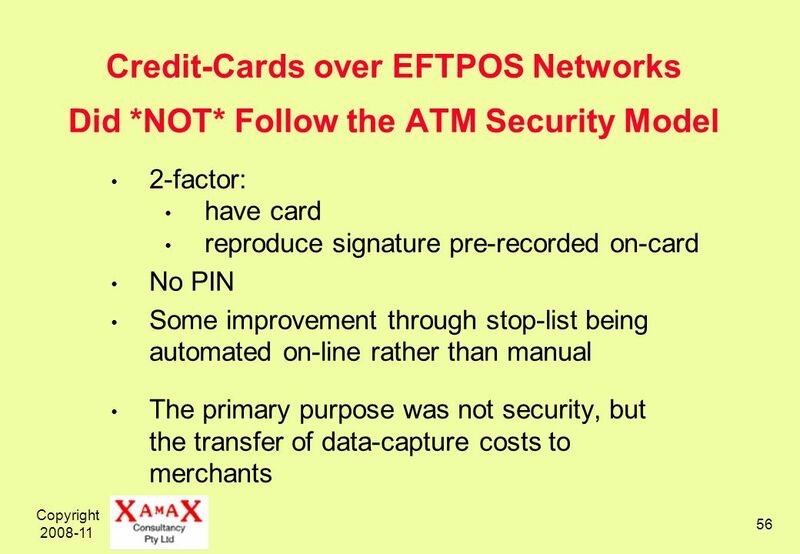 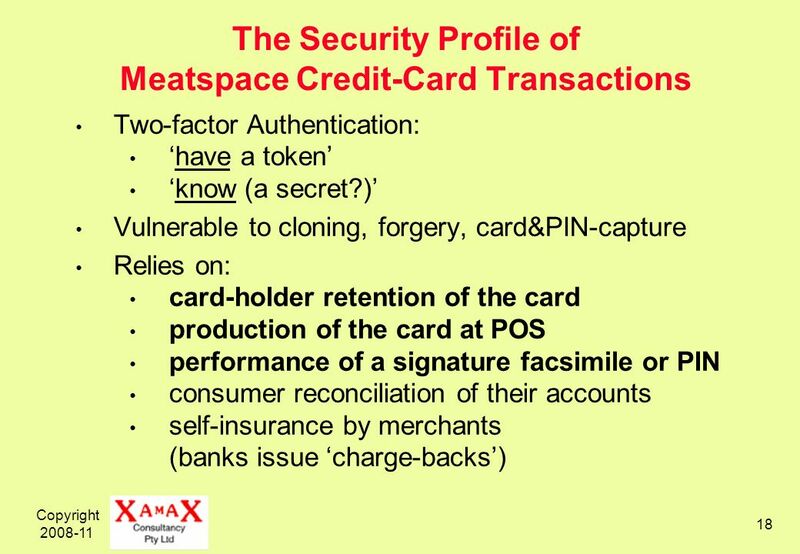 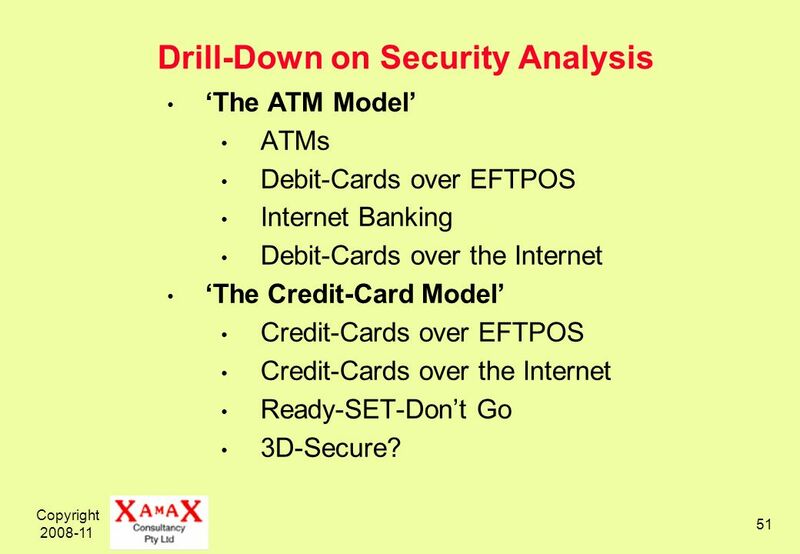 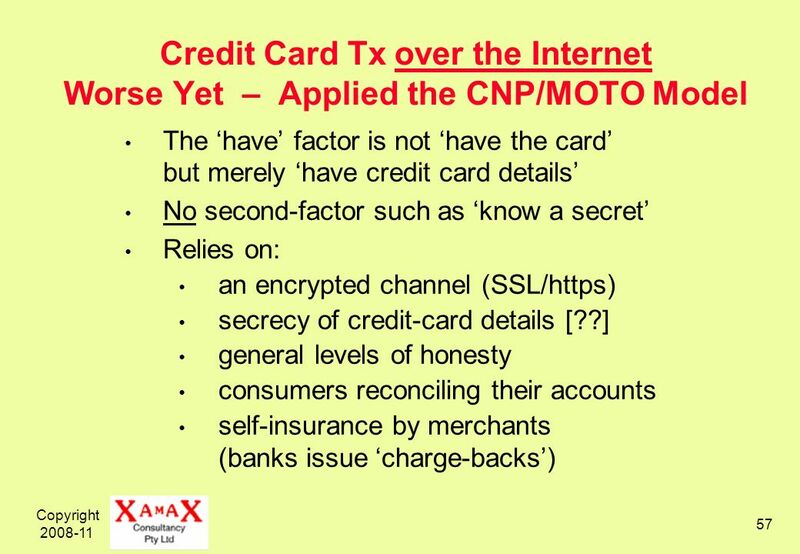 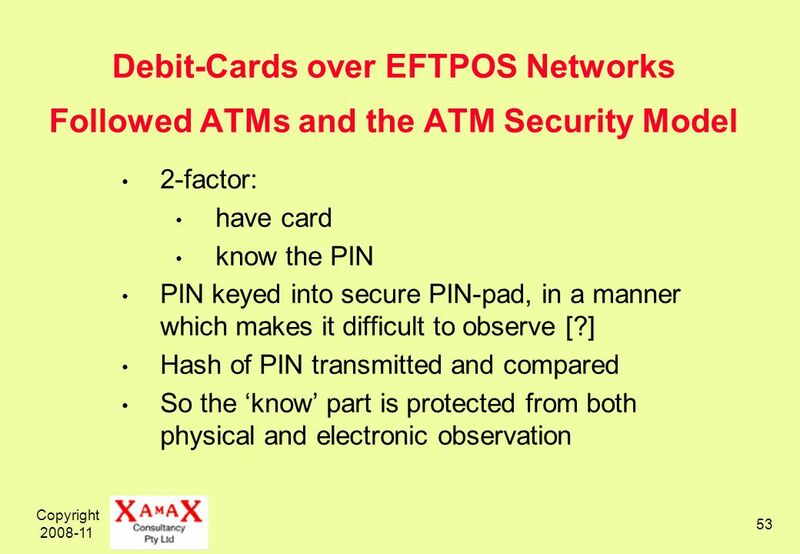 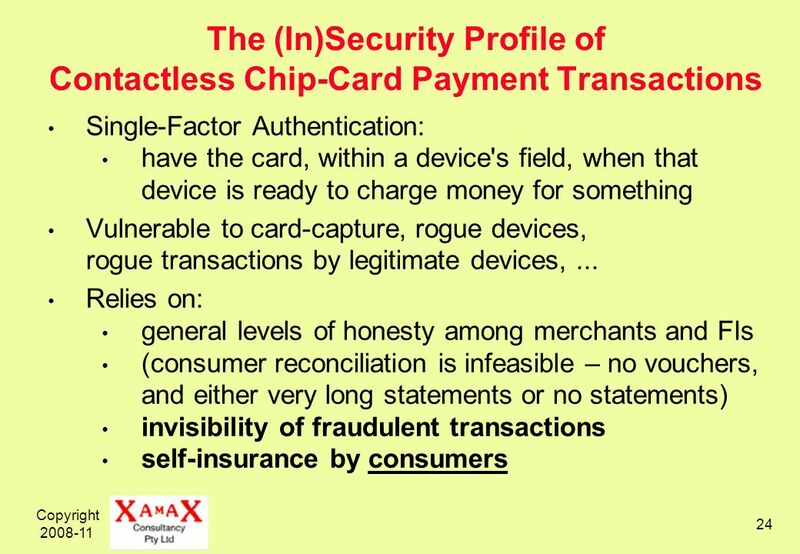 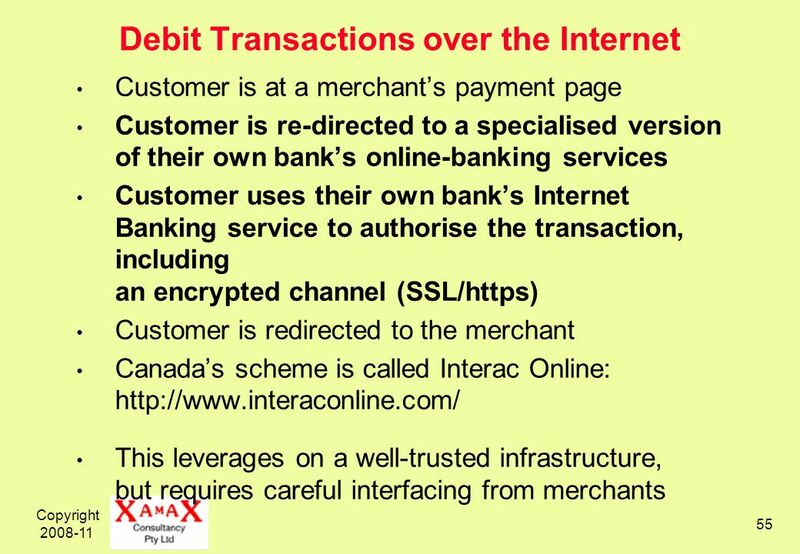 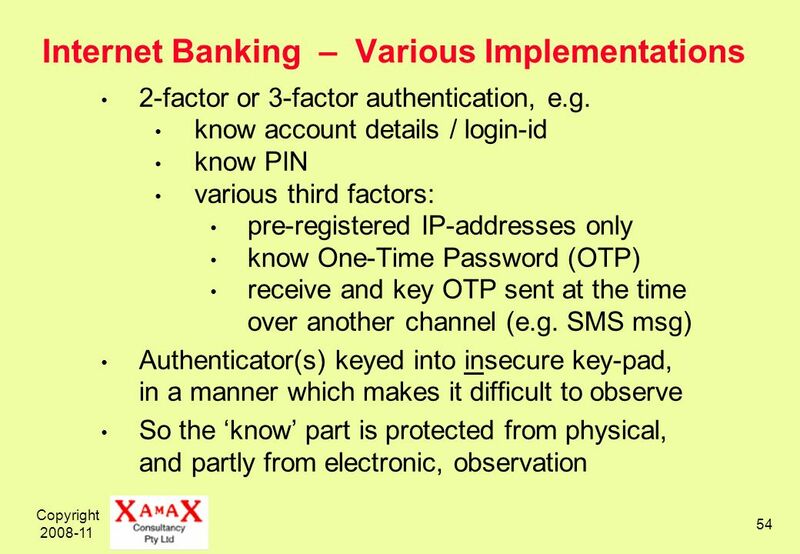 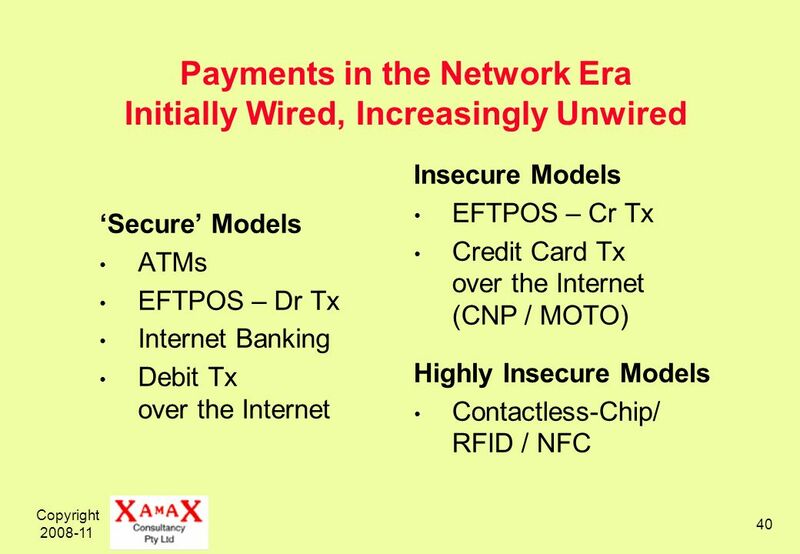 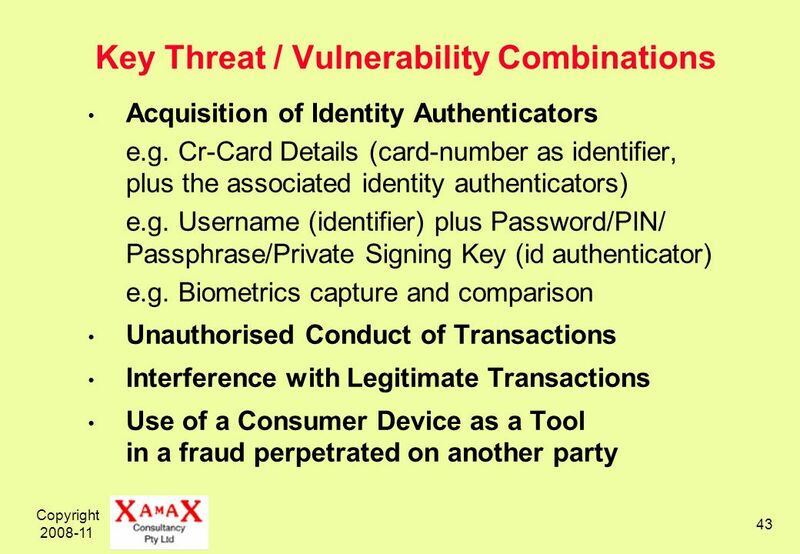 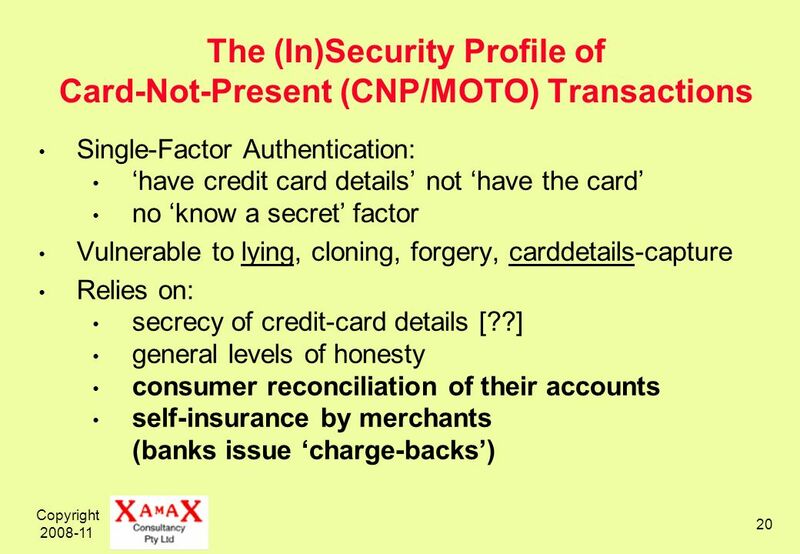 51 Copyright 2008-11 51 Drill-Down on Security Analysis The ATM Model ATMs Debit-Cards over EFTPOS Internet Banking Debit-Cards over the Internet The Credit-Card Model Credit-Cards over EFTPOS Credit-Cards over the Internet Ready-SET-Dont Go 3D-Secure? 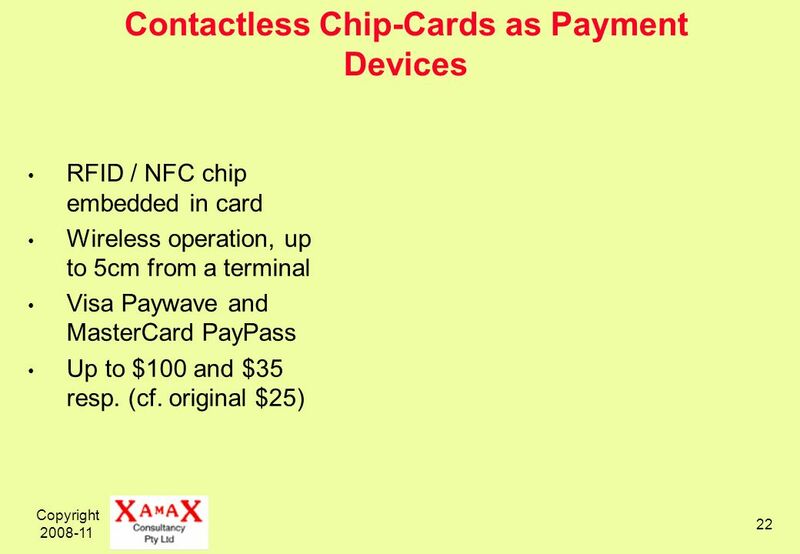 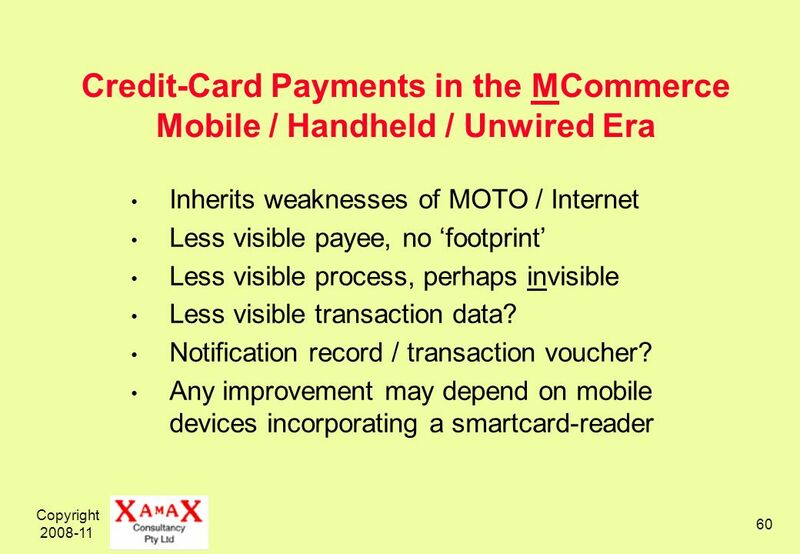 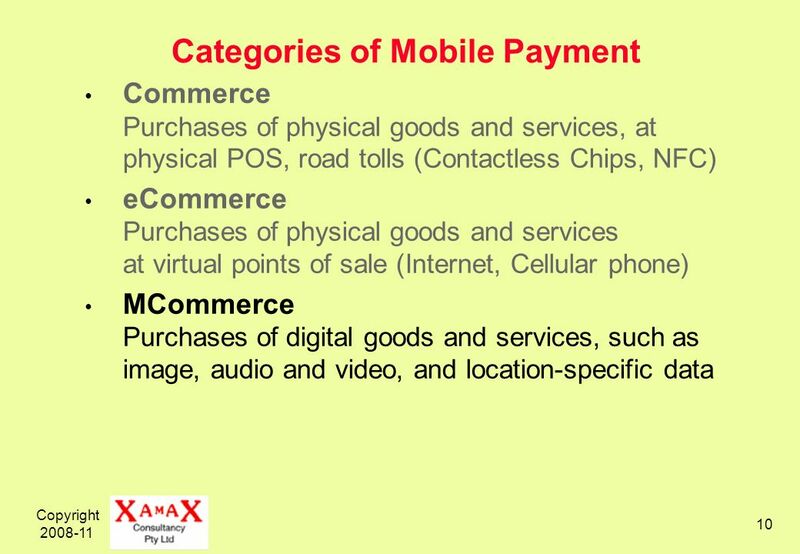 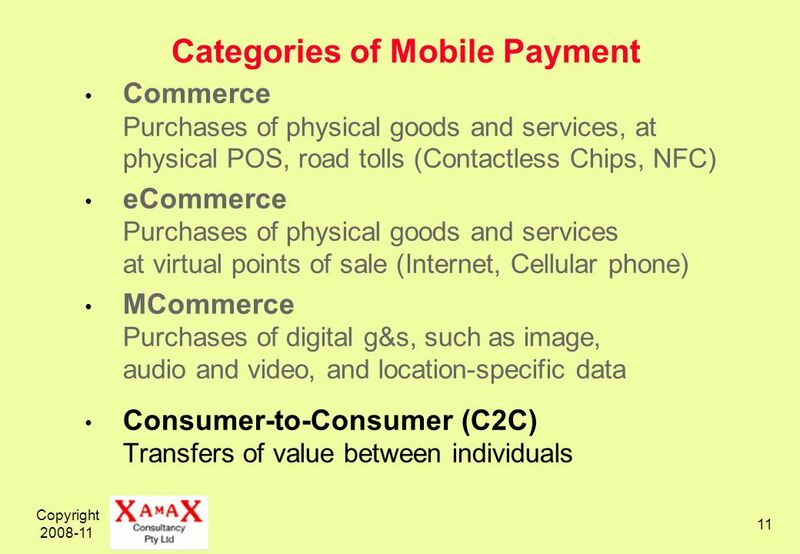 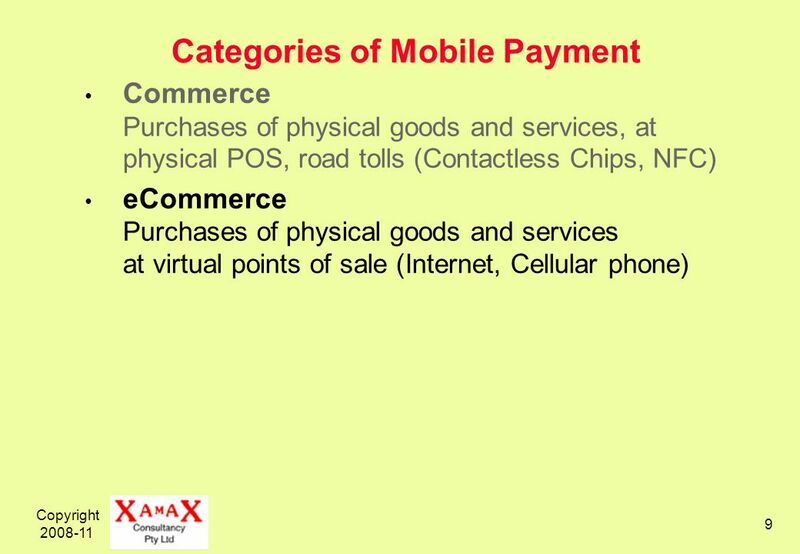 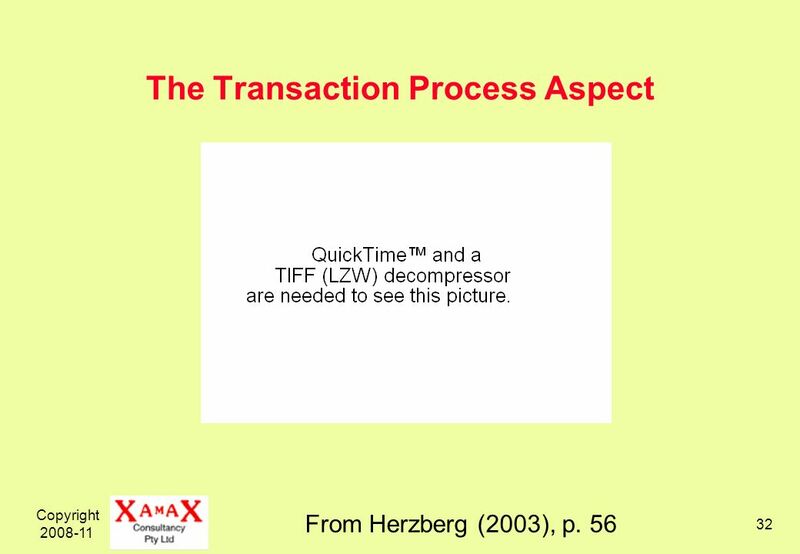 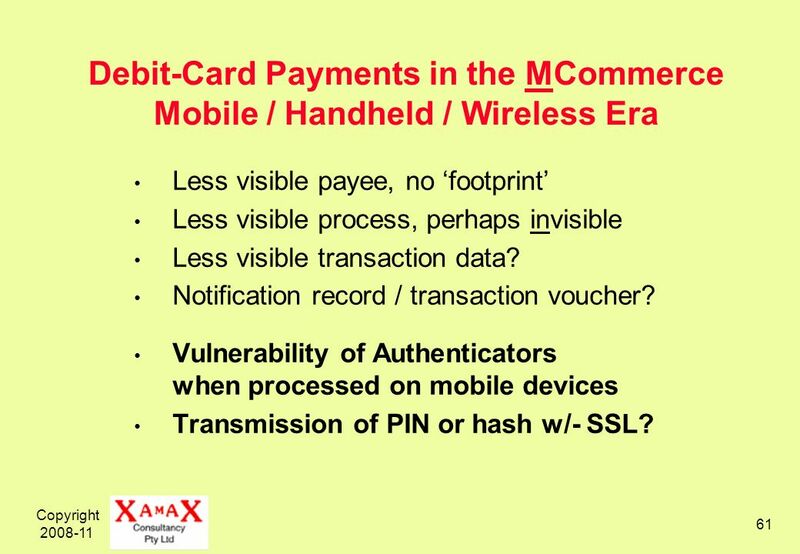 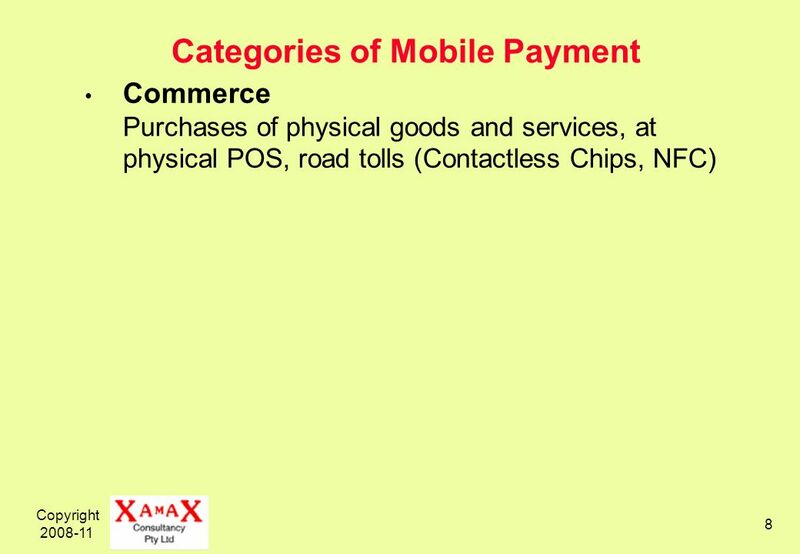 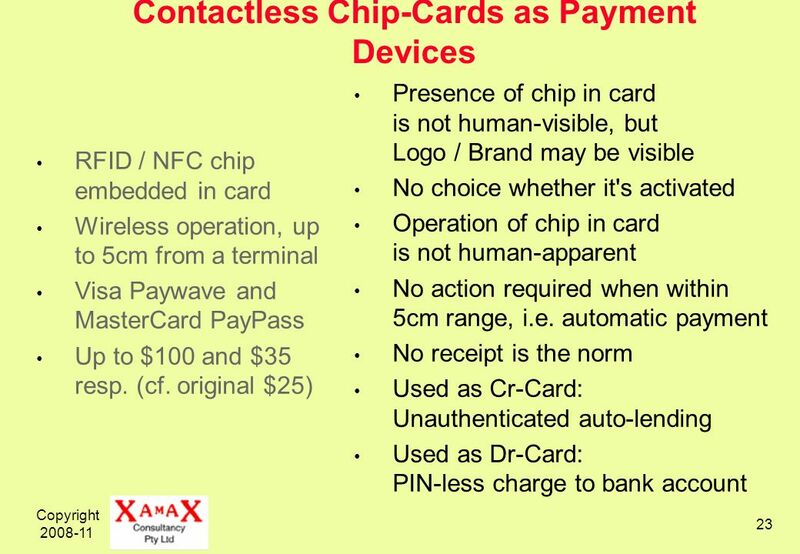 61 Copyright 2008-11 61 Debit-Card Payments in the MCommerce Mobile / Handheld / Wireless Era Less visible payee, no footprint Less visible process, perhaps invisible Less visible transaction data? 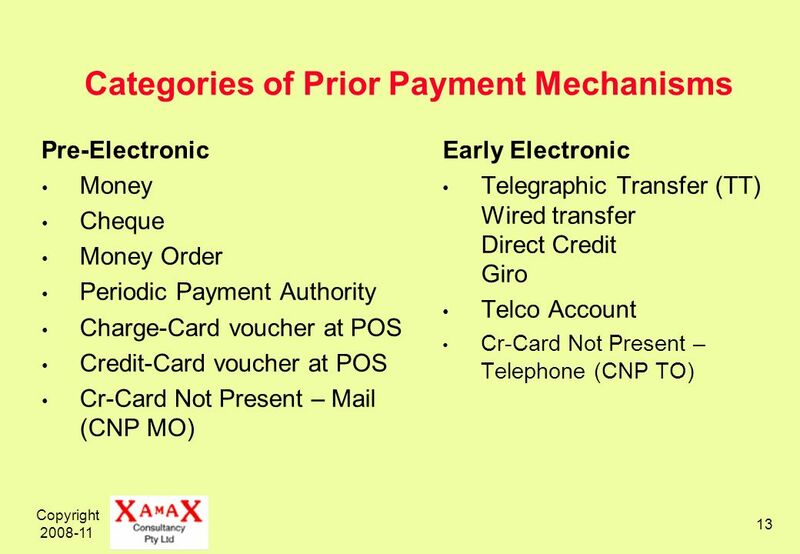 Notification record / transaction voucher? 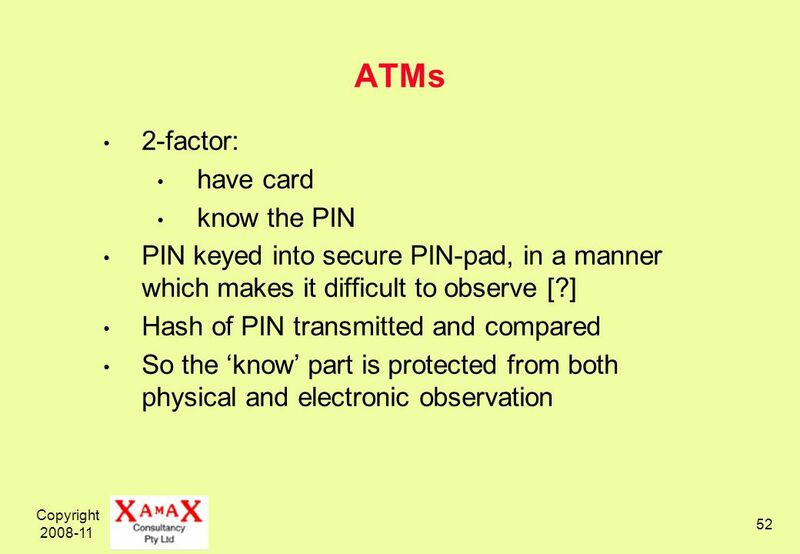 Vulnerability of Authenticators when processed on mobile devices Transmission of PIN or hash w/- SSL? 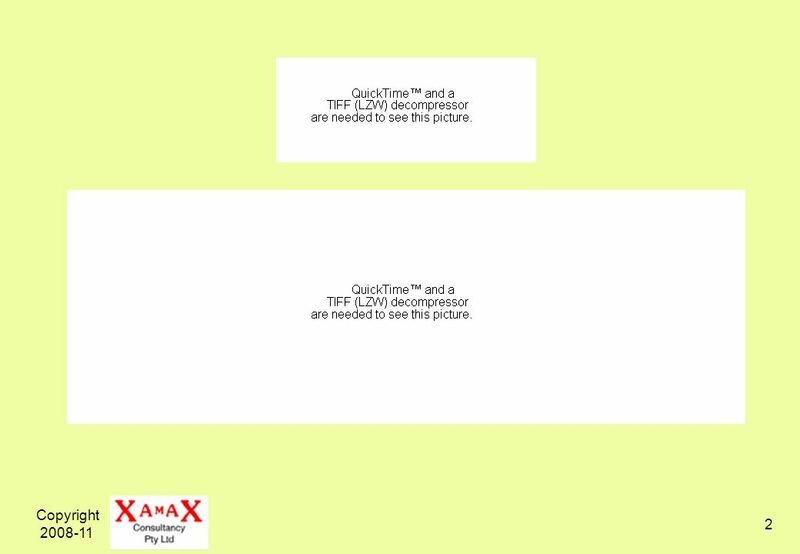 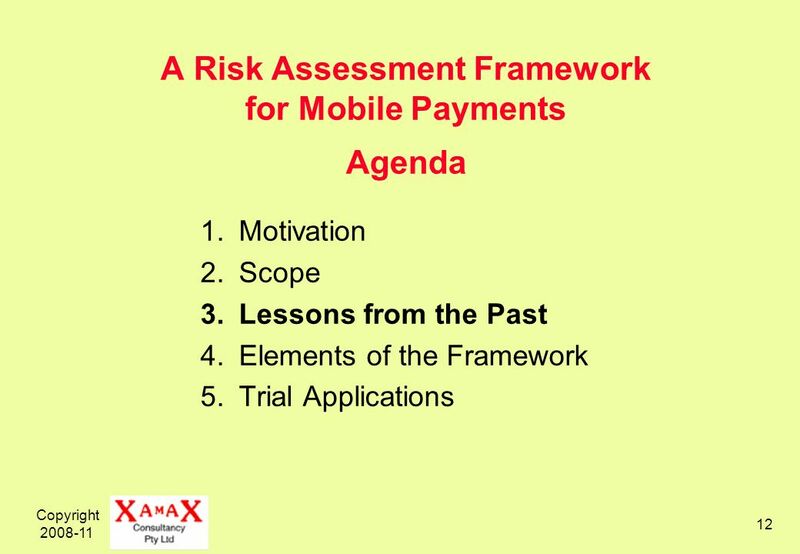 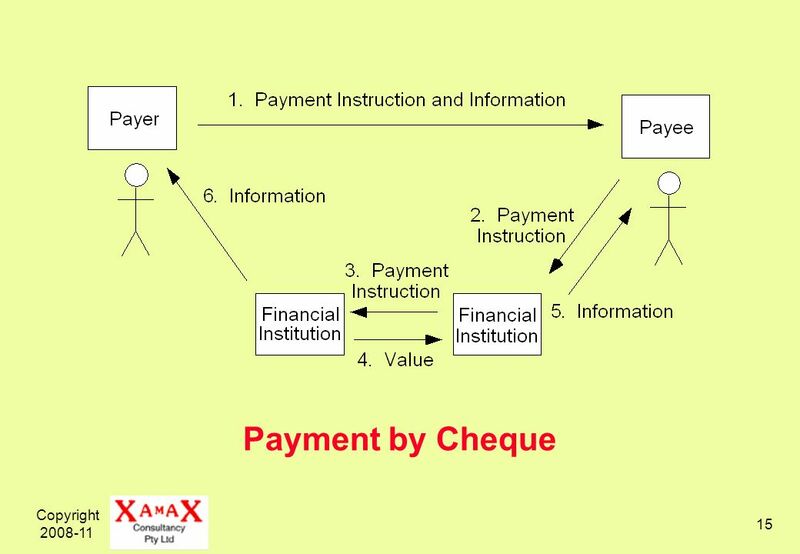 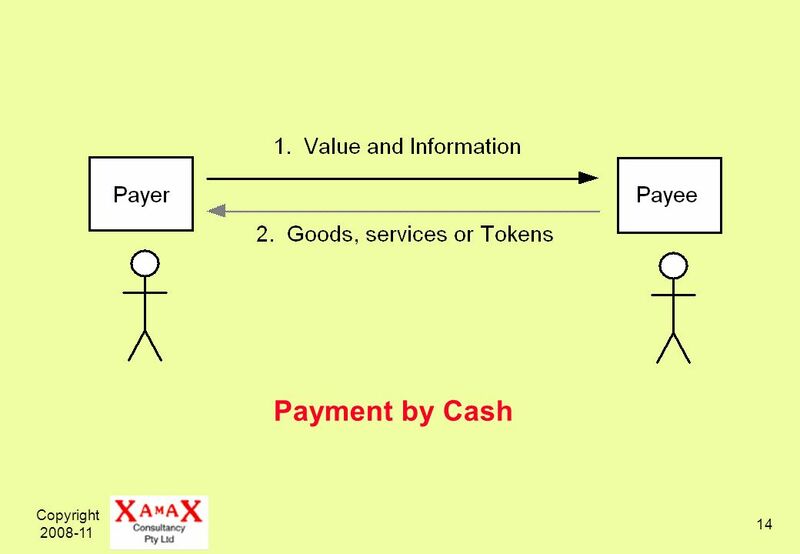 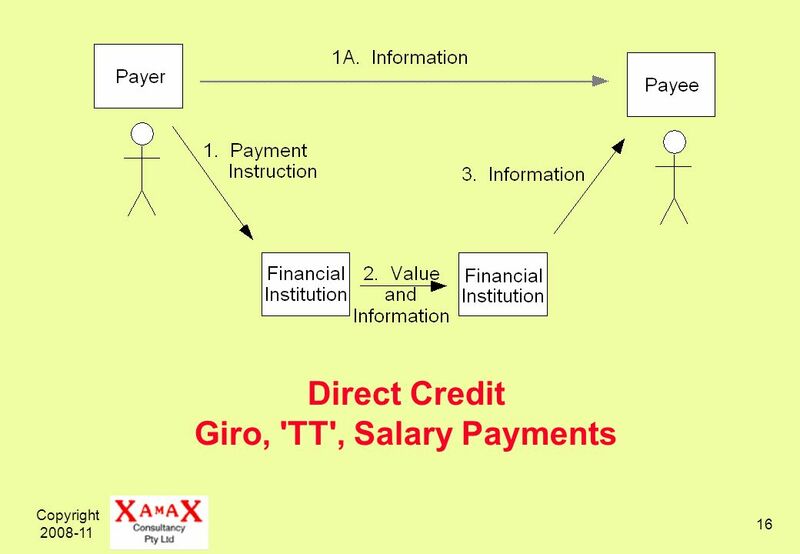 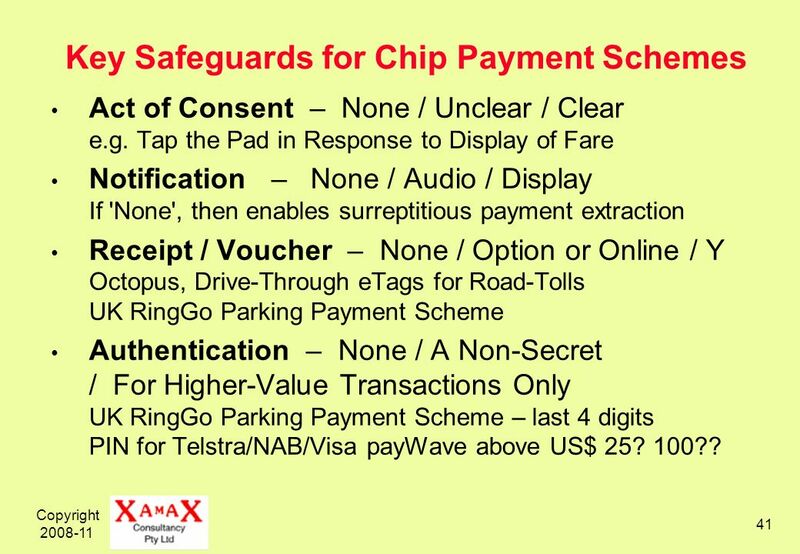 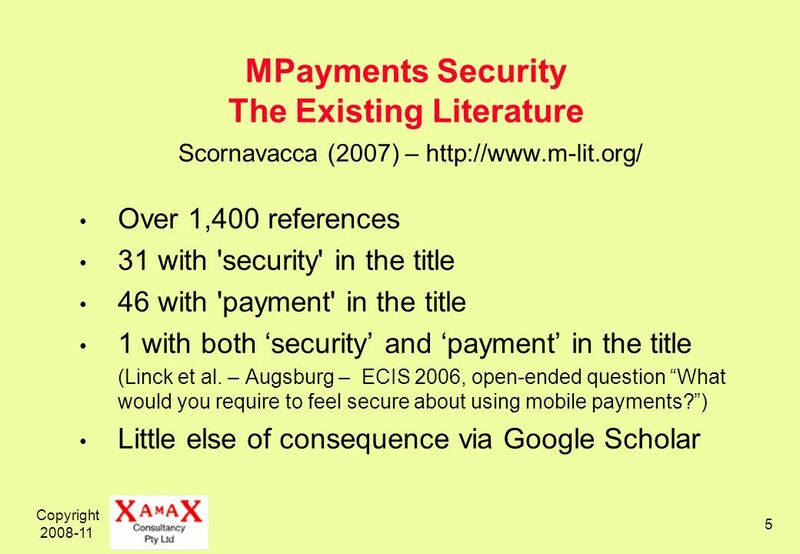 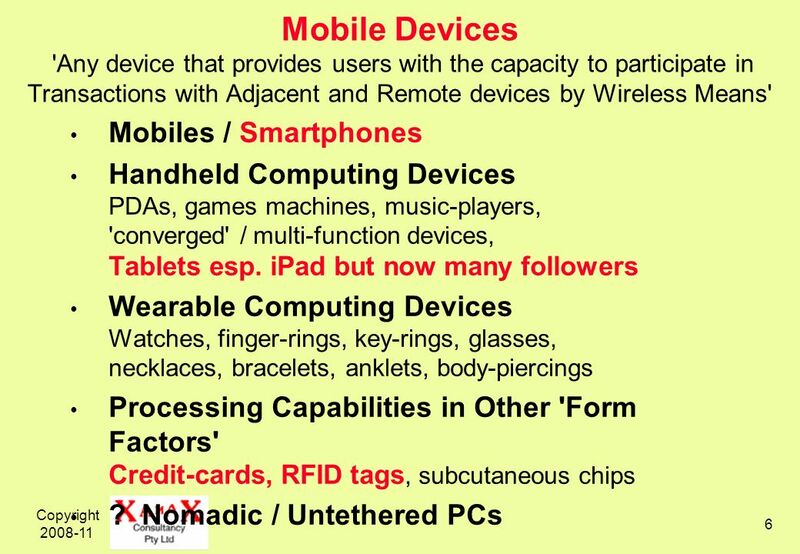 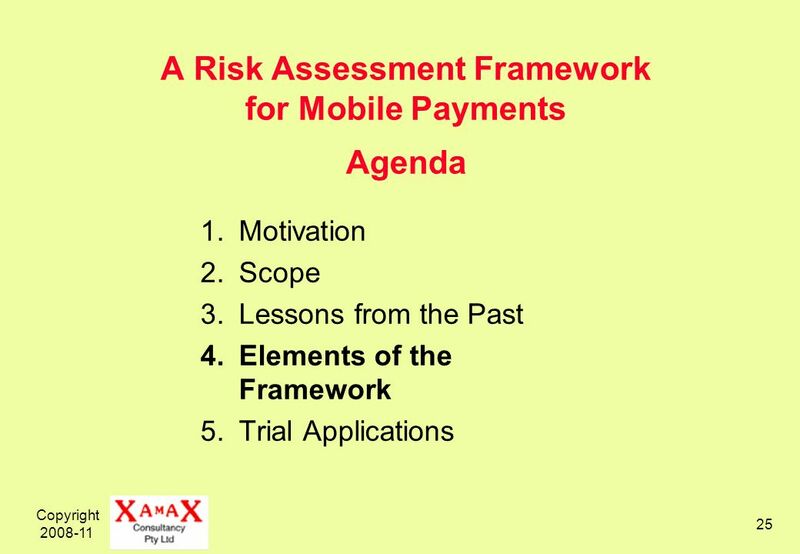 Download ppt "Copyright 2008-11 1 A Risk Assessment Framework for Mobile Payments Roger Clarke Xamax Consultancy, Canberra Visiting Professor in Computer Science at." 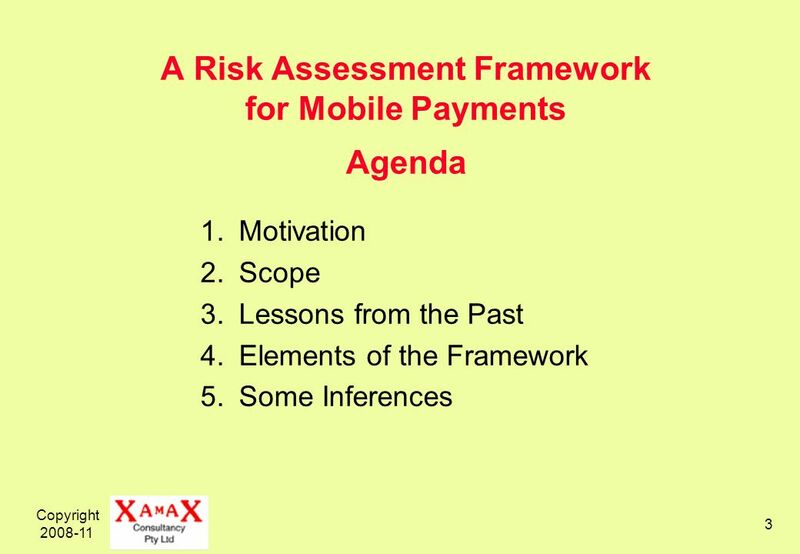 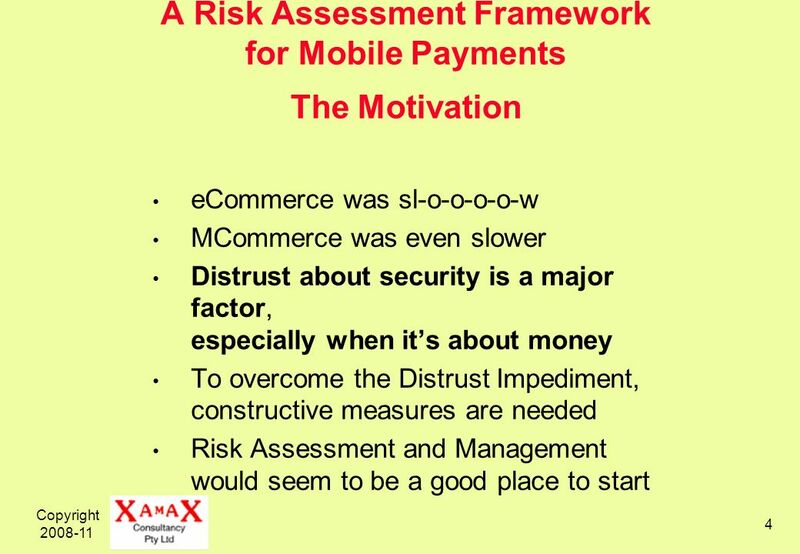 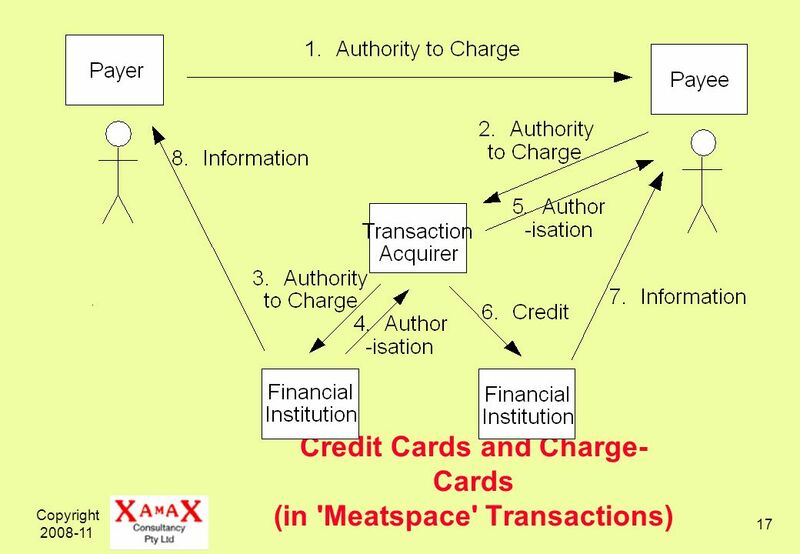 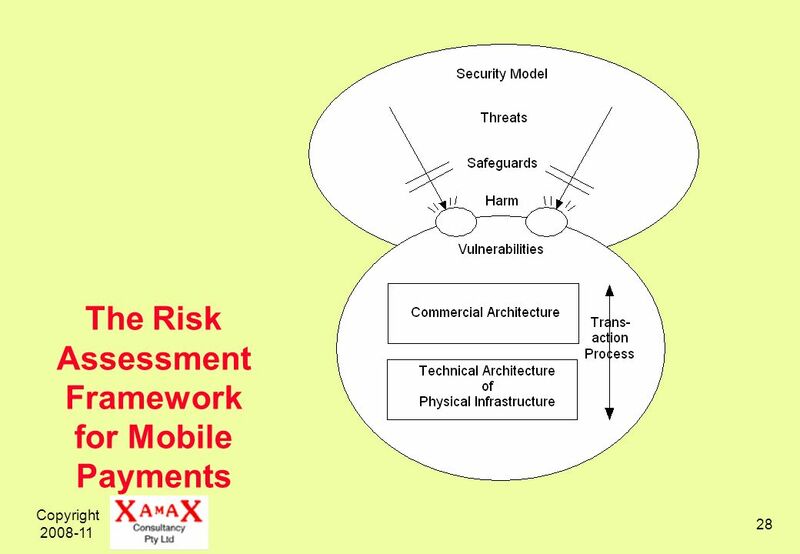 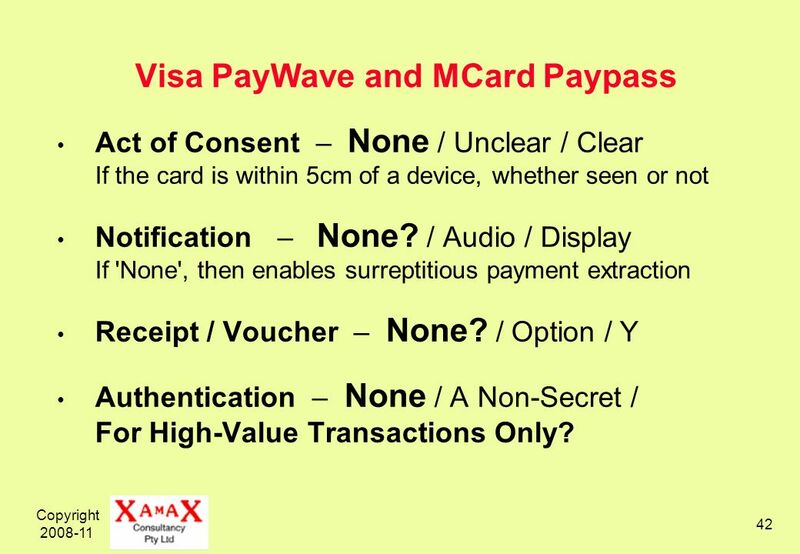 A Risk Assessment Framework for Mobile Payments Roger Clarke Xamax Consultancy, Canberra Visiting Professor in eCommerce at Uni of Hong Kong, Cyberspace. 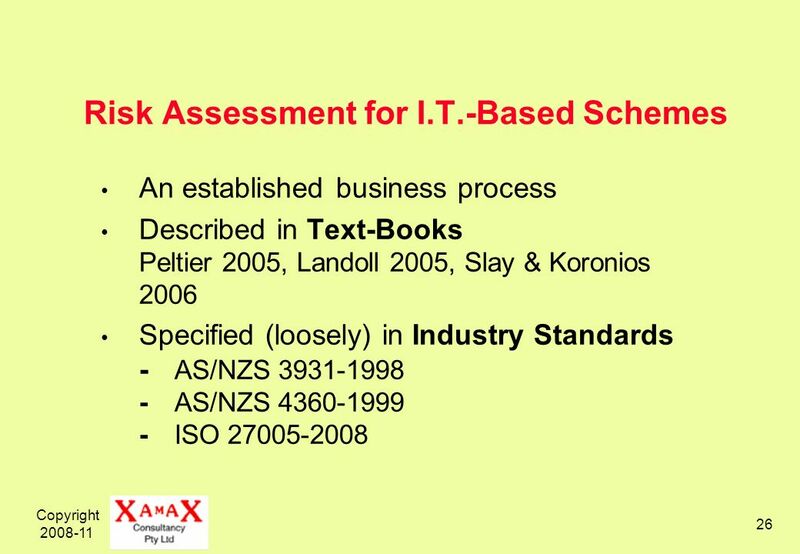 Copyright COMP 3410 – I.T. 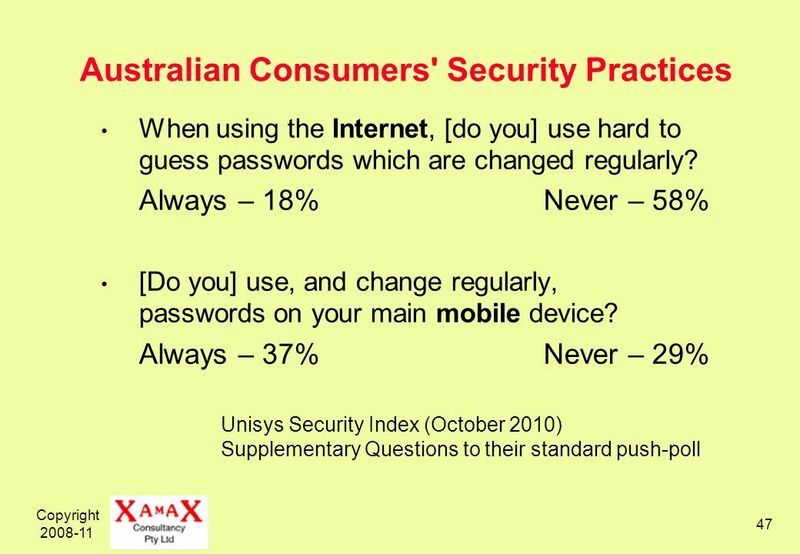 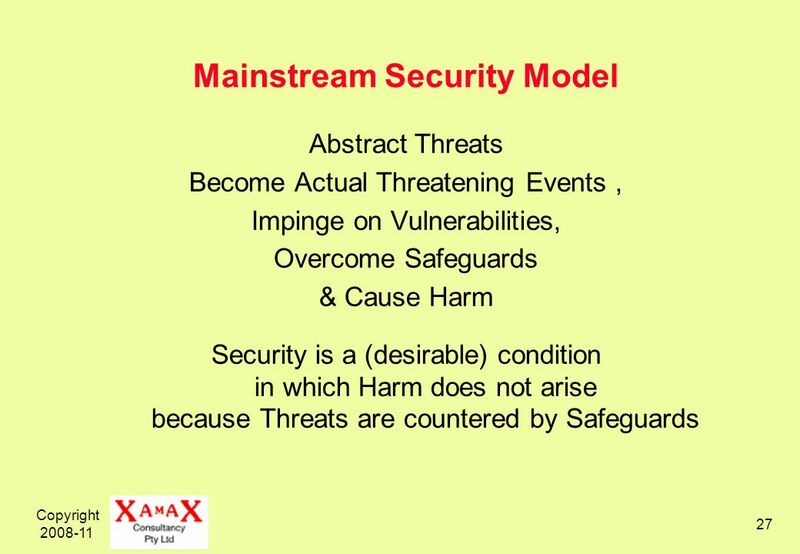 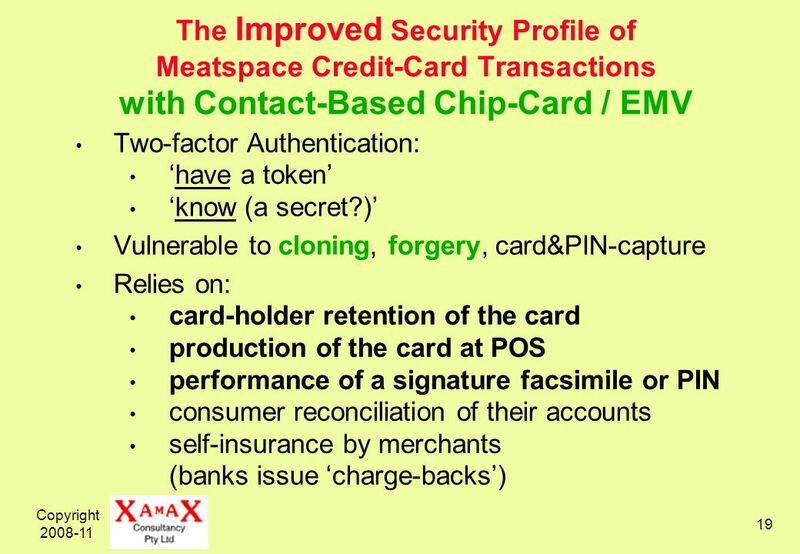 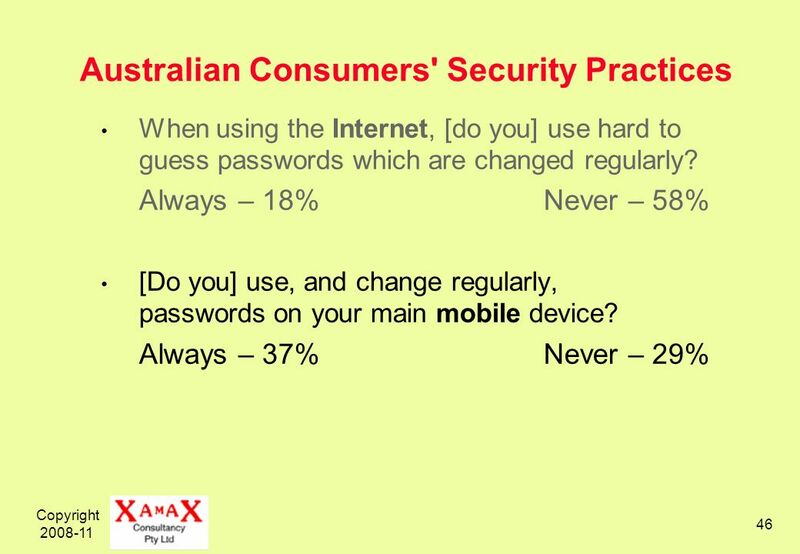 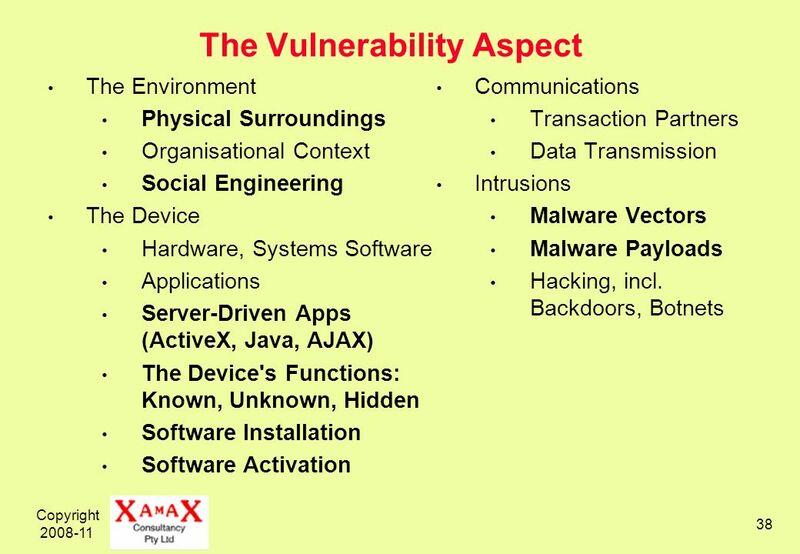 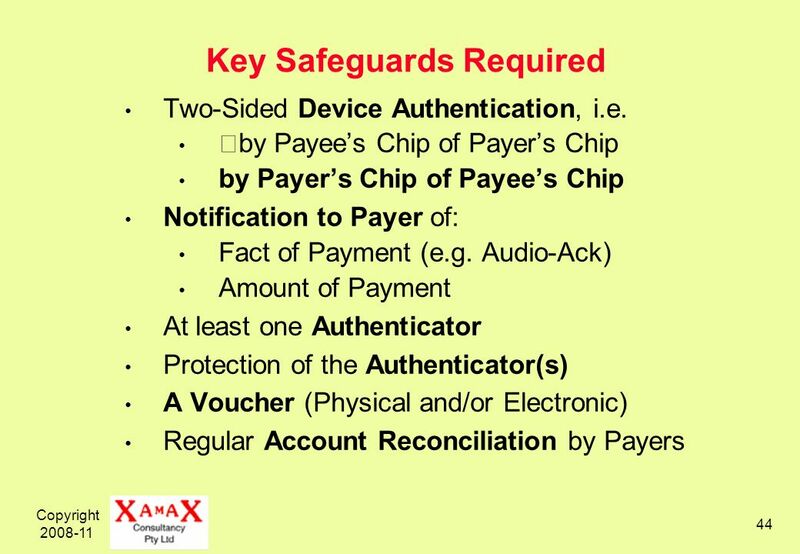 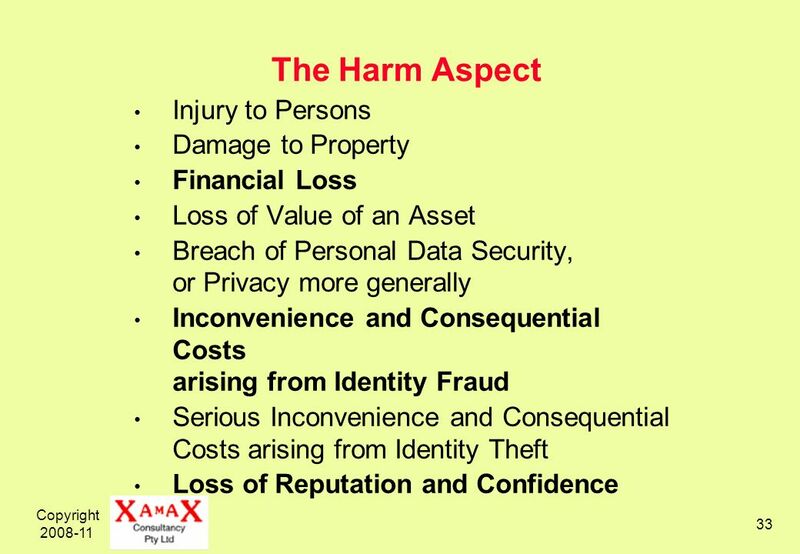 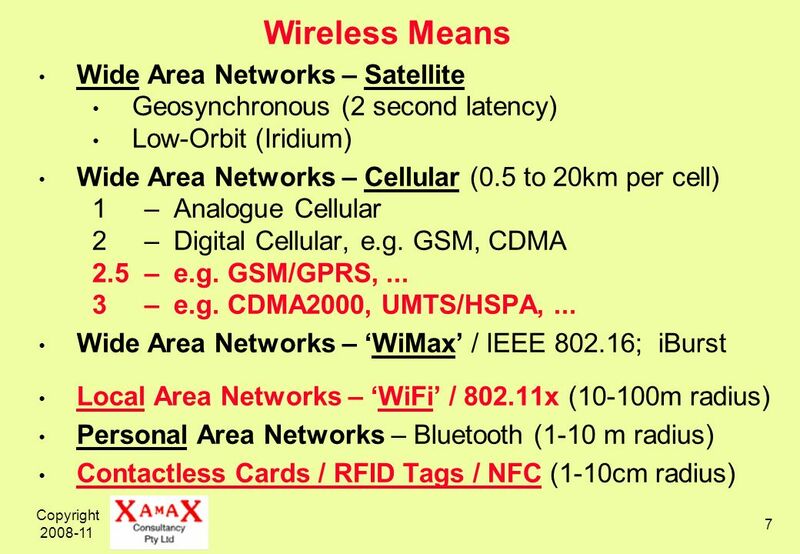 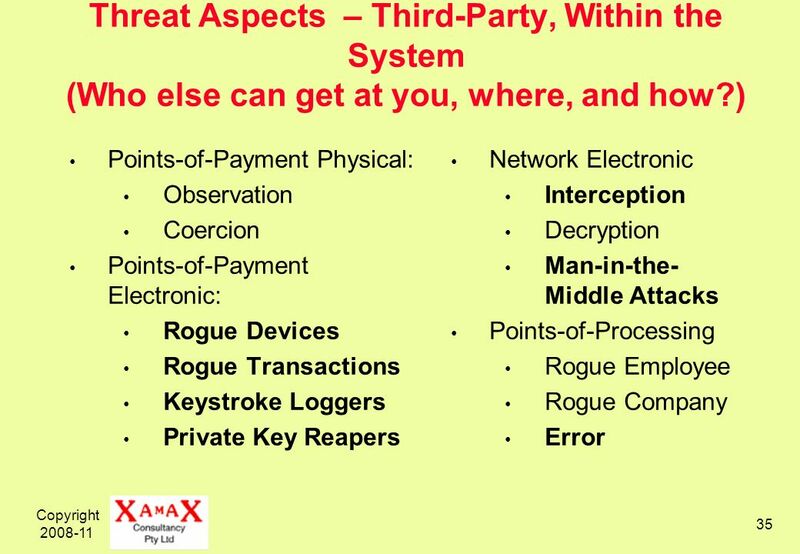 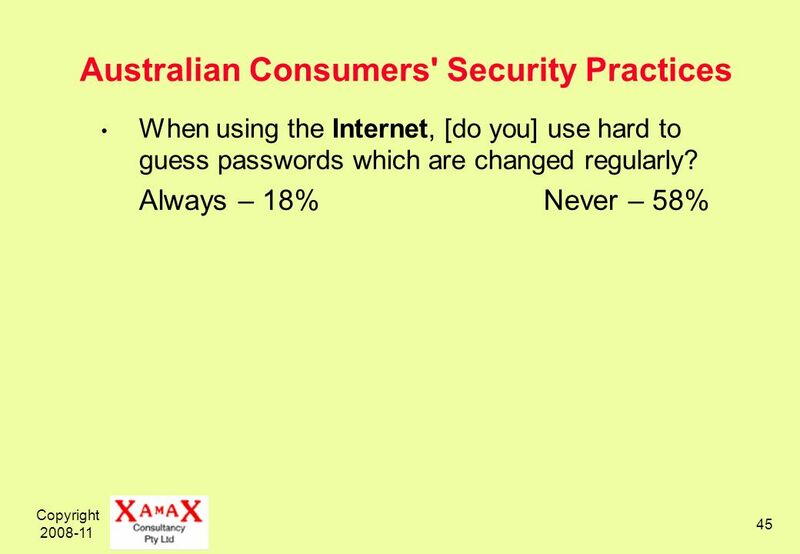 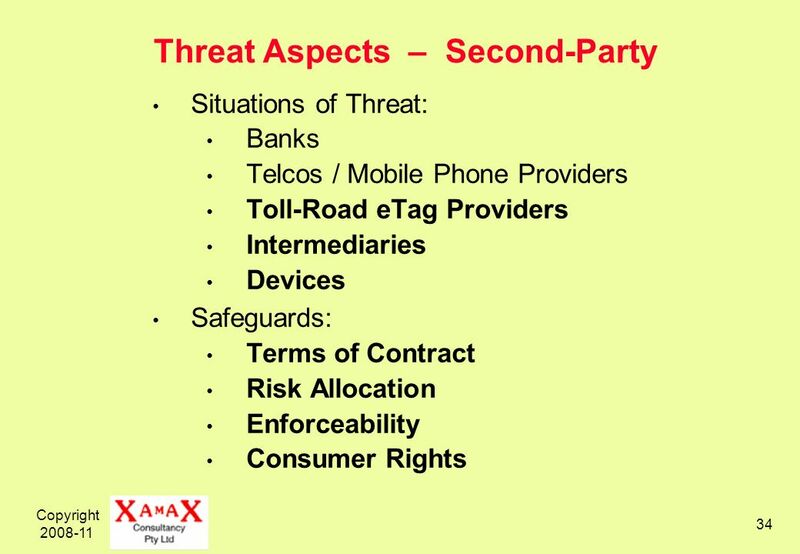 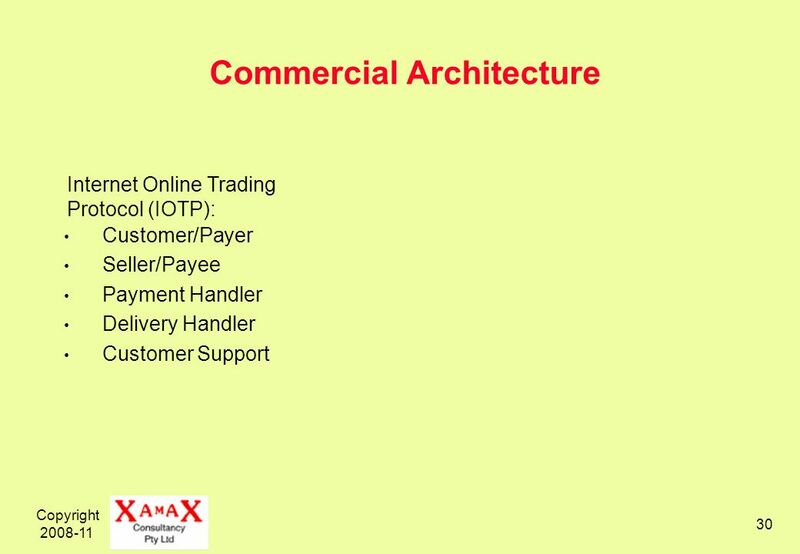 in Electronic Commerce eSecurity Mobile Security Roger Clarke Xamax Consultancy, Canberra Visiting Professor, A.N.U.